John Legend won an Emmy award becoming the first black man and the youngest person to join the ranks EGOT holders. 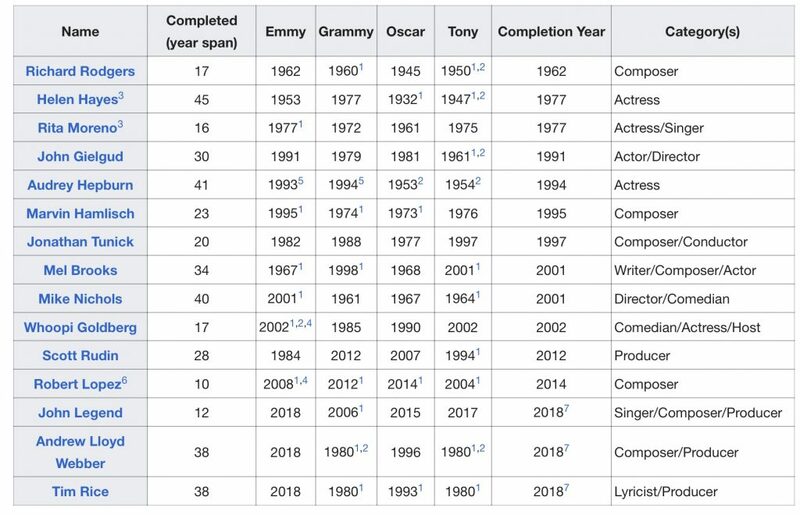 There are now only fifteen people who have won an Emmy, Grammy, Oscar and a Tony. Whoopi Goldberg was the first black person to join the club. John won the Emmy for outstanding variety special for Jesus Christ Superstar Live in Concert that aired on NBC. John being congratulated by wife Chrissy Teigen. John won his first Grammy in 2006, he won an Oscar in 2015 for best original song with Common for Glory from the movie Selma, and won a Tony in 2017 for producing Jitney, which won the award for best revival of a play so he achieved EGOT status in just 12 years.